It’s really over! We think…. Norm Schultz Turbines In Lake Erie — Where Do You Stand? 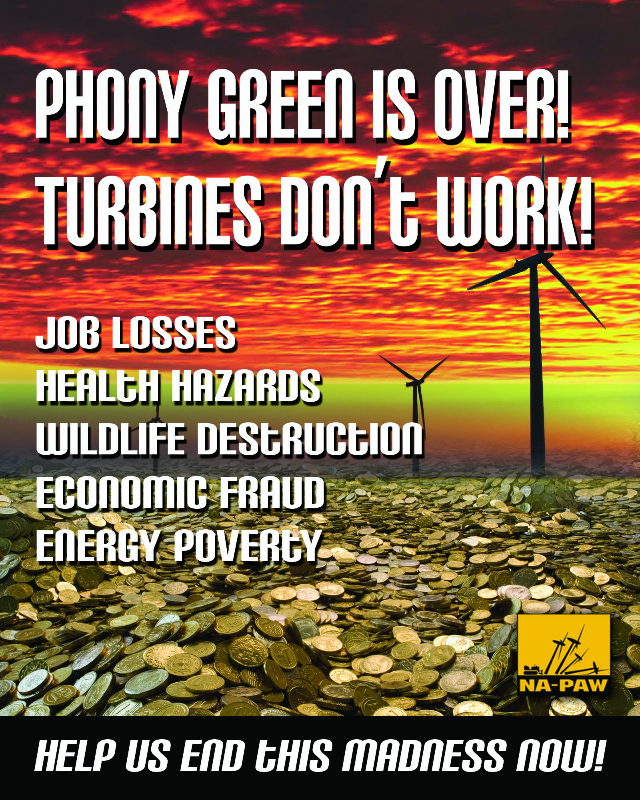 Turbines In Lake Erie – Where Do You Stand? 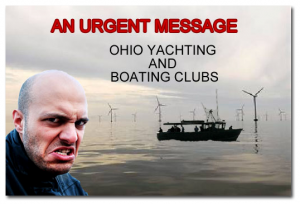 “Boaters Need to Weigh in on Lake Erie Wind Farm Project” read the heading of a recent story sent to the more than 18,000 BoatUS members in Ohio. Indeed, the time has come to take a stand, particularly if you’re one who is convinced wind turbines in Lake Erie are undesirable. 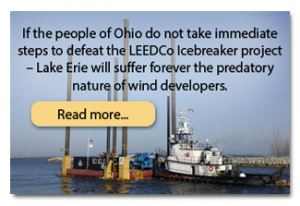 Dubbed the “Icebreaker Wind Project,” it’s a program of the Lake Erie Energy Development Company (LEEDCo). 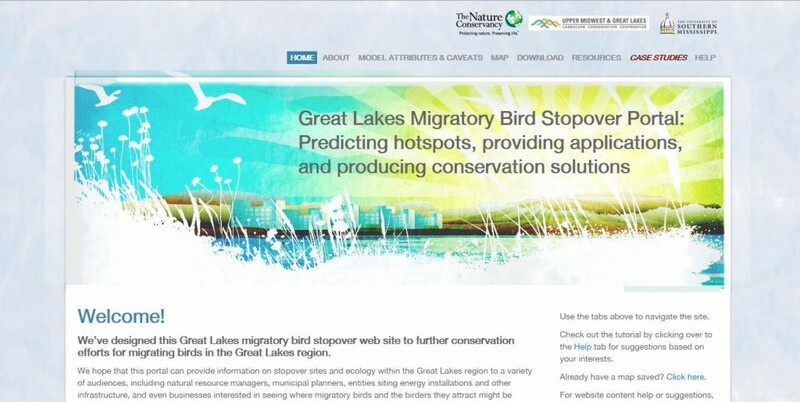 A more suitable name, however, could be the Lake Erie Environmental Destruction Corporation! Its plan calls for building North America’s ﬁrst freshwater wind project oﬀshore of Cleveland consisting of six large turbines. But, its principals acknowledge they want to see up to 1,000 more turbines in Lake Erie oﬀ counties including Cuyahoga, Lake, and Ashtabula. No doubt there’s talk of gracing the beautiful Lake Erie Islands area with spinning windmills, too. Clearly, the time has now arrived for boaters, anglers, and everyone else who treasures the unbroken beauty of Lake Erie to stand up and say NO to this pending boondoggle. It’s not complicated. In our nation’s quest for more renewable energy, windmills have popped up in large numbers on farm lands. And, if farmers want to lease out their land for a wind farm and don’t mind looking out their windows at whirling pinwheels, dead birds, and hearing the incessant groaning sound that turbines make, that’s their choice. Lake Erie, however, isn’t rural farmland. It is a unique frontage for many Ohio communities with resorts, parks, marinas, campgrounds, beaches, and more. Its pure vista draws people to it. Safe navigation and seeing an unbroken horizon speaks a peaceful moment of escape from today’s complex life. Is destroying that for a few megawatts that can come from other sources a fair trade? Overall, the renewable energy scene is a treasure chest of grant money. Truth is, without taxpayer dollars, LEEDCo wouldn’t exist. An army of highly-paid lobbyists representing outﬁts like LEEDCo regularly travel the halls of Congress pushing for renewal of grants and lucrative tax credits that go to wind outﬁts. There are many who say the U.S. should follow the European example. But, the U.S. has the world’s biggest supply of low-cost natural gas currently used to generate much of our electricity at reasonable costs. Meanwhile, prices for electricity in Europe are much higher, especially in countries that have embraced wind power like Britain and Germany. In the latter, for example, German households pay three times what an American household pays for electricity. Massive subsidies to renewable energy producers in Europe have pushed prices up. There is little doubt the majority of Americans support the idea of renewable energy. The question is not whether we should pursue wind power but where, speciﬁcally, wind turbines should be placed, or not. And Lake Erie should be a not! Although not opposed to alternative energy sources, the Michigan Boating Industries Association (MBIA) Board of Directors remains opposed to wind turbines in the Great Lakes unless, and until, adequate information and research is ever available. Ohio’s Lake Erie Marine Trades Association has adopted the same position. Both organizations say their ﬁrst priority is to protect the surrounding natural resources, as well as the existing commercial, residential, recreational, and tourism aspects of any potential turbine site, and it is not prudent to move forward without knowing the impacts. Moreover, it would also be necessary to understand just how much electricity these wind farms will generate at what cost. Are they really cost eﬀective? Risking negative impact to the economic and lifestyle beneﬁts of boating, ﬁshing, and tourism on the Great Lakes without such knowledge could be devastating. Ohio boaters should make their position known now by providing comments to the Ohio Public Utilities Commission. It’s easy. Just go to the PUCO website at opsb.ohio.gov/Contact-Us and ﬁll in the form. Note: On the form “company name” ﬁeld, enter: “Icebreaker Wind Project Case no. 161871-EL-BGN Icebreaker Windpower.” Then, let them know your position.